Bates and Lambourne was formed in 1979 by Richard Bates and David Lambourne. 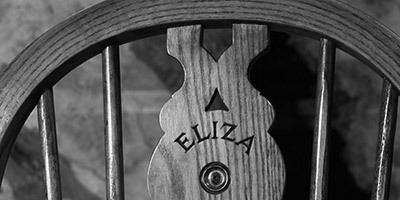 Richard's grandfather began manufacturing chairs in 1919, trading as C. R. Bates & Sons. 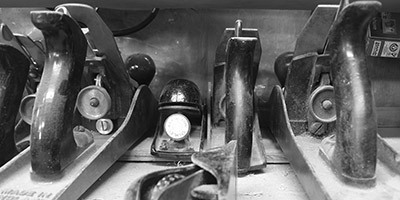 For over sixty years the company was an integral part of the Chilterns and High Wycombe tradition of Windsor chair manufacture, as well as making snow shoes for the military during World War II. 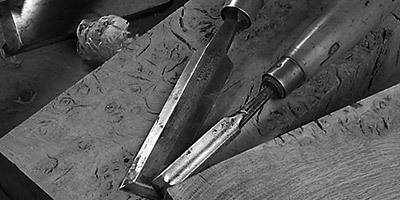 David Lambourne was apprenticed to C. R. Bates & Sons as a young man, becoming a highly skilled traditional chair maker, a craft to which he devoted his entire working life. In 1985, the Bates and Lambourne partnership became a triumvirate when Tony Smith joined the company. 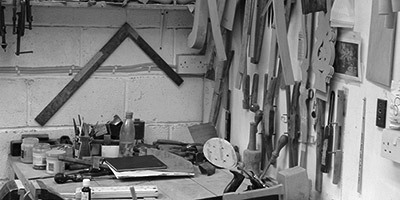 Tony, from a High Wycombe engineering family, had previously been working for some years as an antique restorer, cabinet maker and traditional wheelwright in Montgomeryshire, Wales. Soon after this, the workshop moved to its current location at Milton Common, Oxfordshire. 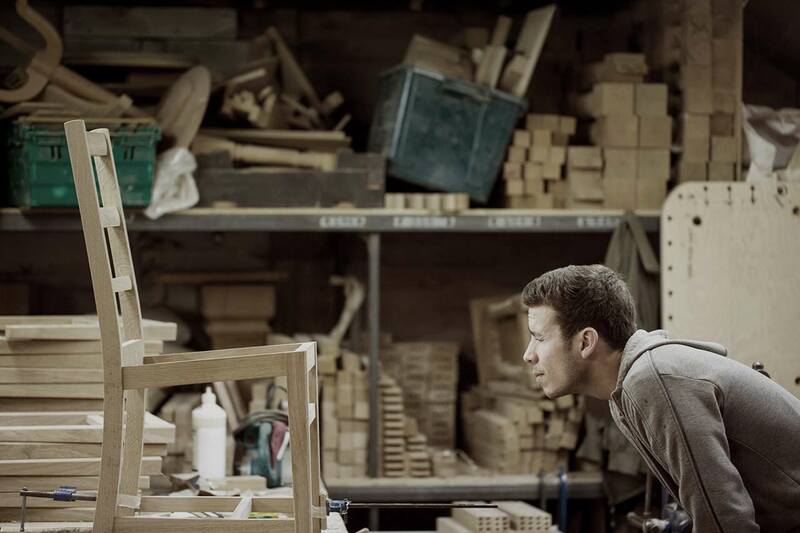 Since then it has gradually expanded to a workforce of around a dozen skilled craftsmen, with different departments specialising in different areas of furniture production. Our workshops were originally built to house Italian prisoners of war during World War II, hence the name The Camp Industrial Estate. While home comforts have not much improved since then, we are now well equipped with the machinery required to produce good quality timber furniture affordably. 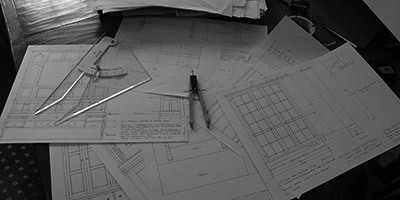 However, at Bates and Lambourne our emphasis has always been more on the skills of the individual maker rather than the use of excessive technology. 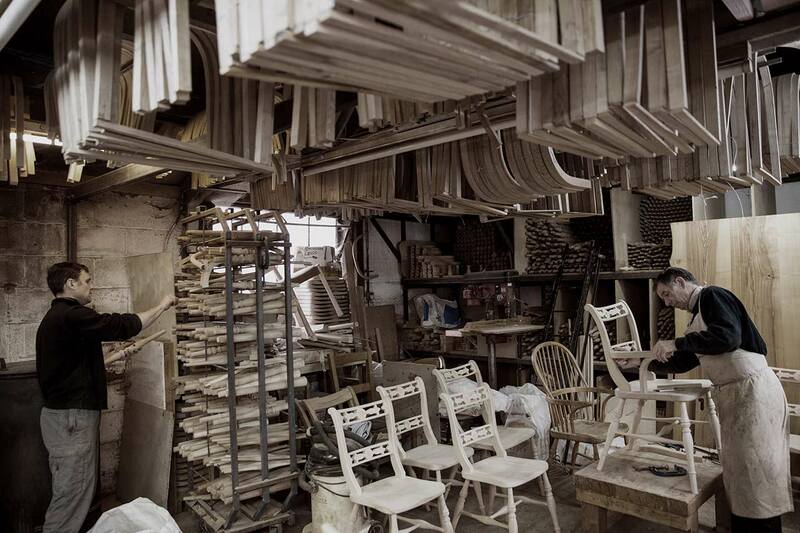 In 2001, and with several thousand Windsor chairs behind him, David Lambourne retired. Josh Howard-Saunders, who had been employed as a cabinetmaker with the company since 1996, joined Richard and Tony in partnership in 2003. In 2014 Richard Bates retired, and Harry Williams who had been with the company as a chairmaker for a dozen years, joined Tony and Josh as directors of the company.